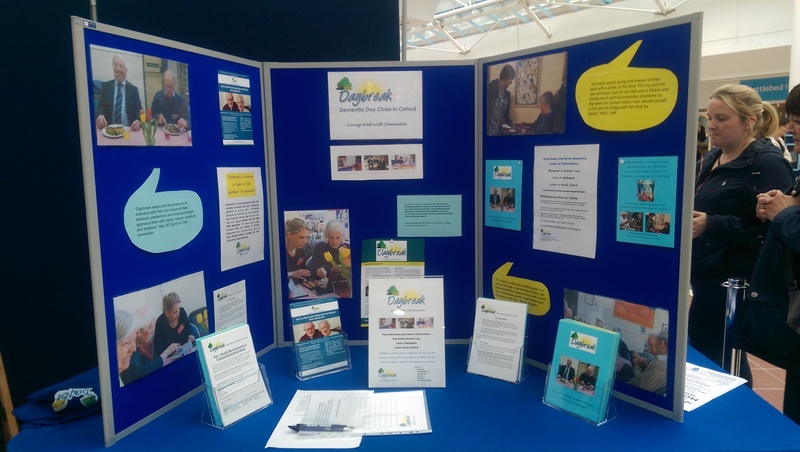 Daybreak Oxford was invited to take part in the event Ageing: From Birth and Beyond organised by Living Well Oxford, which took place in Templars Square, Cowley from 15th-21st May. Daybreak provided an information stand, giving us the opportunity to meet lots of members of the public and explain all about out Clubs. We also provided an information stand at Sainsburys in Kidlington, during Carers Week on 13th June.